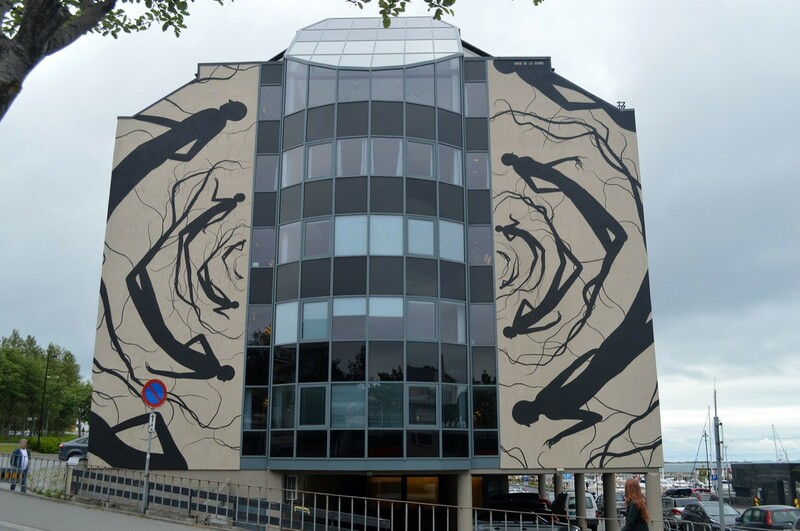 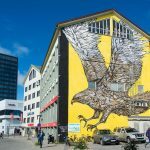 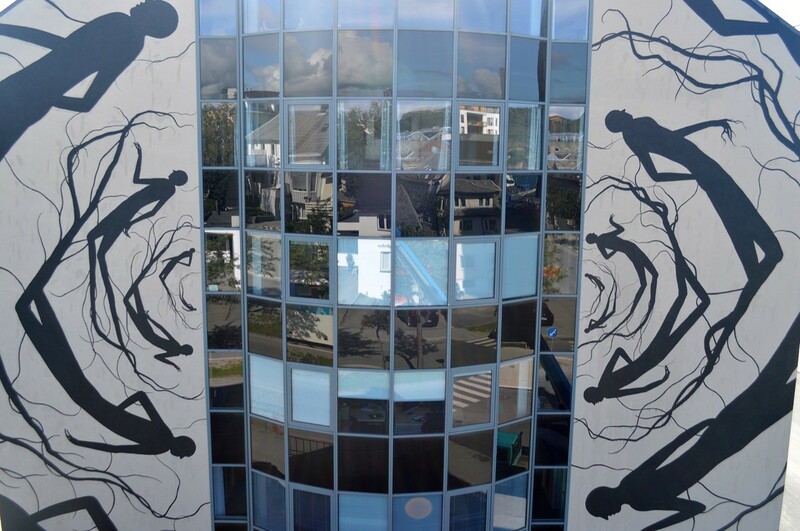 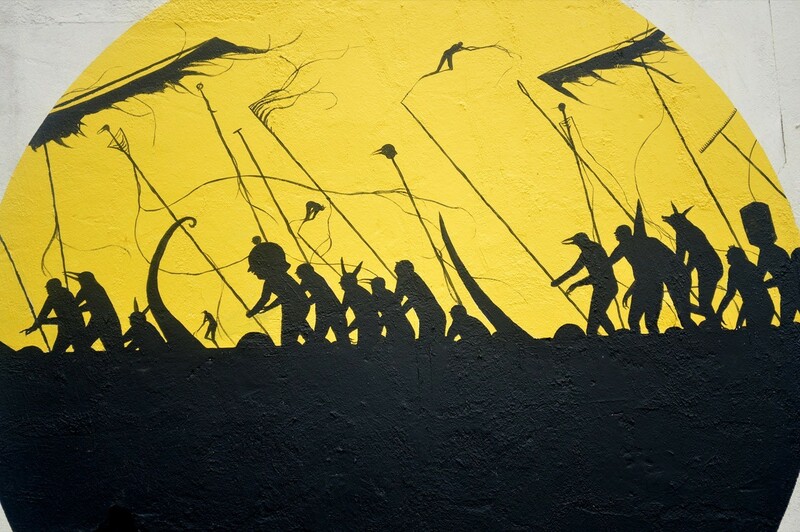 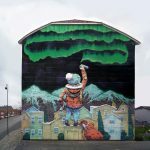 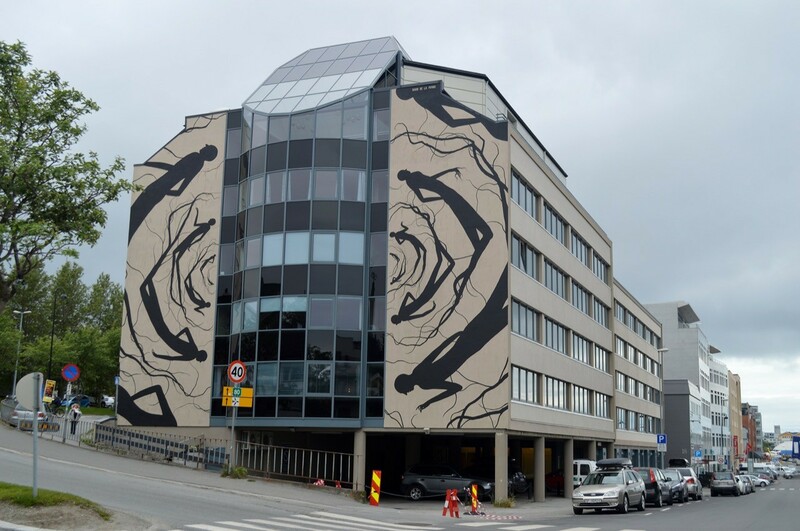 David De La Mano was also in Norway, painting on the streets of Bodø for the latest edition of the UpNorth Street Art Festival. 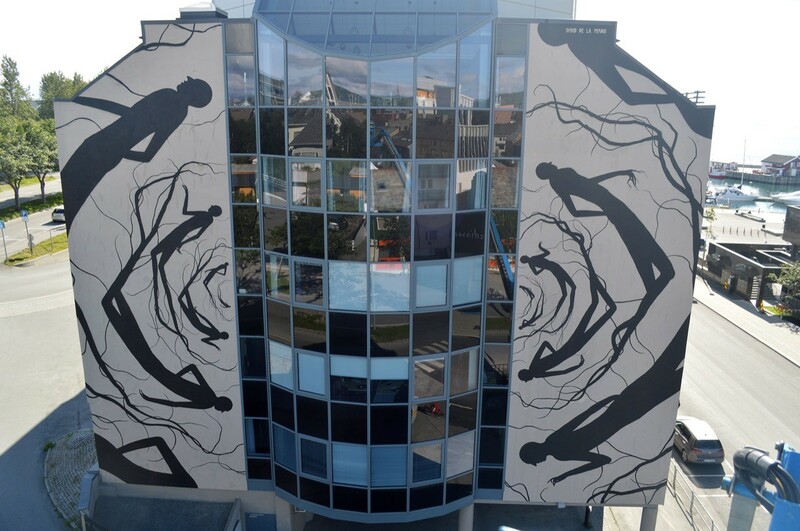 David brought to life some of his signature imagery with these large monochrome silhouettes composed by roots and human elements. 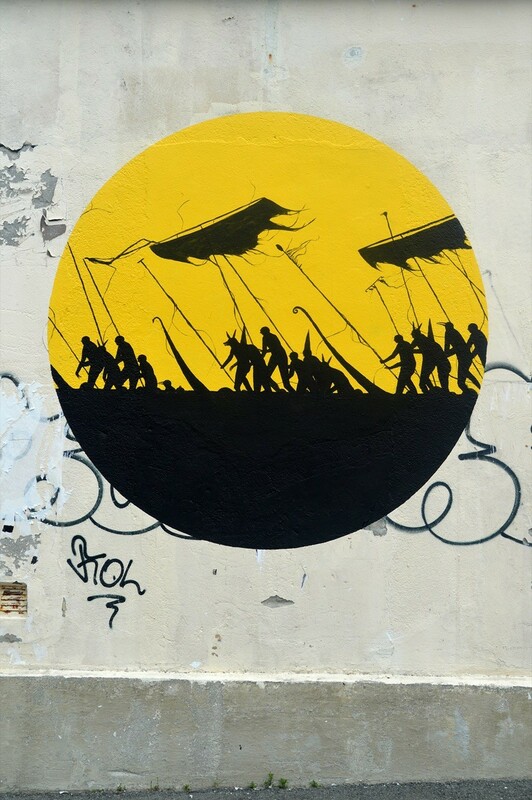 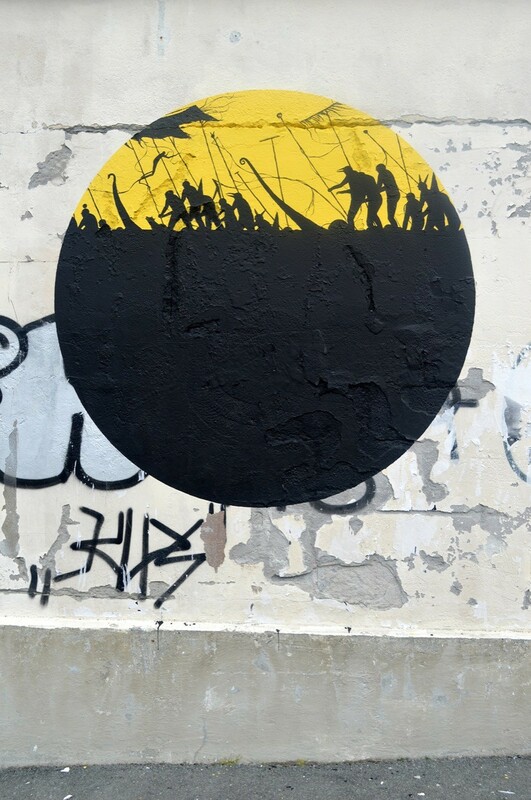 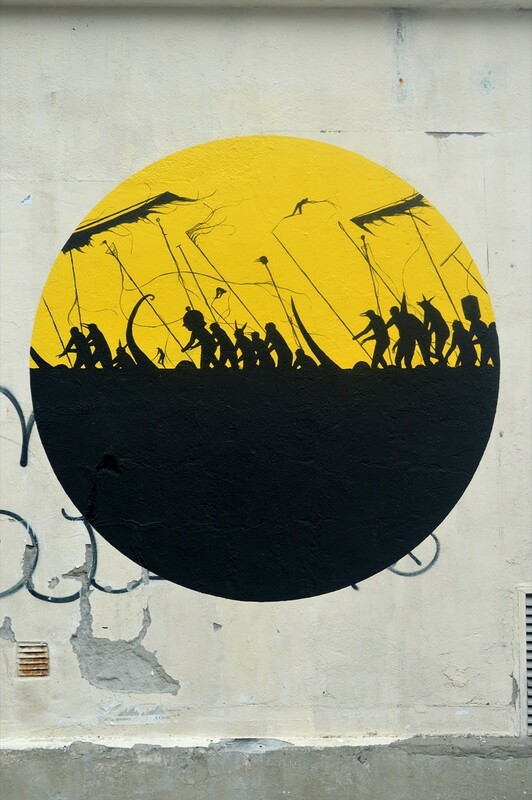 Another simple but striking piece by the talented muralist. 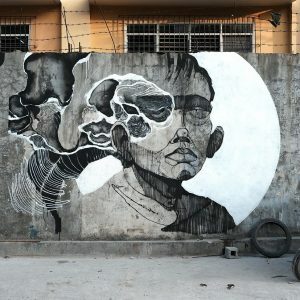 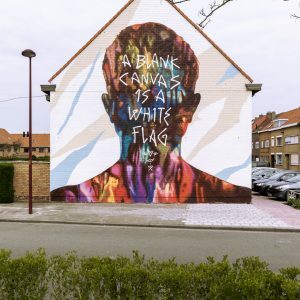 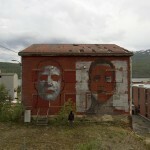 David also collaborated with Norwegian Dot Dot Dot on a triptych which is featuring each artist’s distinctive styles. 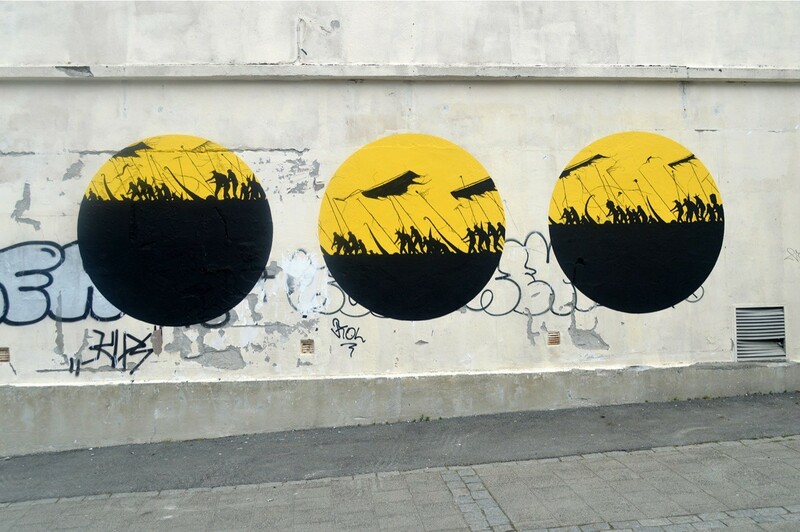 Take a look at more images below and check back with us soon for more fresh updates from Europe.